Review Like or loathe Chromebooks, the marque offers security and convenience at an affordable price. And for the most part they are lightweight with a touch of style. Up until now Chromebooks had a monopoly on that combination but HP has cooked up some competition with its Stream Cloud range of budget Windows machines. At the moment there are three models in the range. 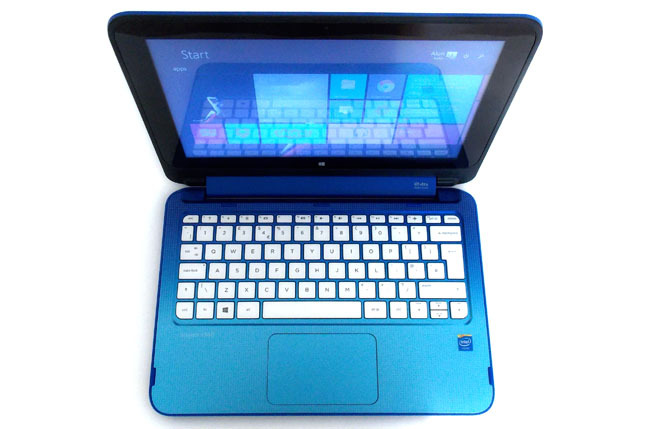 Two are conventional laptops, an 11.6-inch model costing £180 and a 13.3-incher costing £230. The third is a 11.6-inch convertible, again costing £230. Under the hood, the three machines are much the same and it’s the 11.6-inch convertible, the Stream x360, that I’m poking with the Reg stick today. The obvious and immediate appeal of the HP x360 is visual. 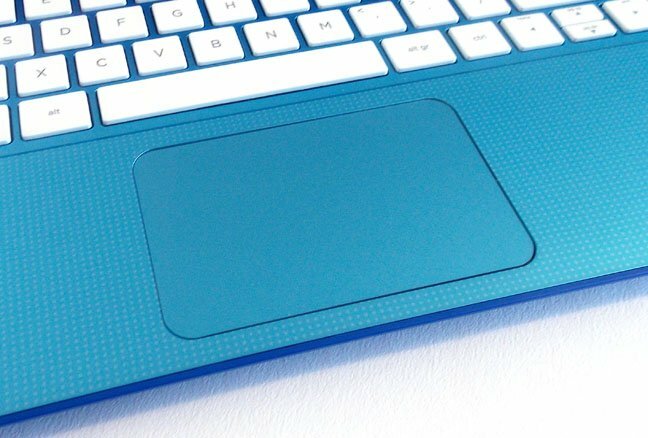 The graduated aquamarine colour scheme on the keyboard deck is rather fetching and the same goes for the matt finish Tory blue used everywhere else. The HP x360 scores more aesthetic points for not trying to look like a knock-down MacBook and not being plastered with stickers. Granted, it is all a bit plastic but what do you expect for this sort of money? HP deserves a pat on the head for realising that making a machine cheap and cheerful is fine just so long as it is cheap and very cheerful. At 1.55kg and 308 x 215 x 22mm this new HP is also a reasonably light and slender offering. All that plastic hasn't had any overly deleterious effects on how the HP x360 Stream feels when you manhandle it. The keyboard deck is solid and the lid has no more flex to it than you would expect of any machine not made of aluminium or magnesium. The only build issue I encountered was the area surrounding the Windows icon below the touchscreen. It has a lot of give to it. It’s not a failing that gets in the way of functionality but it is an indication that we are in the bargain basement. The same is not true of the connections portfolio, which will put any Chromebook to shame. Two USB 2.0 ports and one USB 3.0 port, RJ-45, HDMI and a fully-recessed SD card slot are just what I like to see. Those ports, along with the 3.5mm audio jack, power button and volume rocker, are positioned along each side of the x360 with enough space between them that using one doesn’t involve obstructing its neighbour.